Lifting straps are a great way to improve your grip and prevent damage to your hands through heavy weight lifting. If you’ve made the decision to invest in a pair great, but your next task is to find the best pair for you. This article reviews some of the best on the market and brings you a buyers guide to make it a painless process. We found IPR Fitness Men’s Lifting Straps to be the best lifting straps on the market. To find out why keep reading! The products in the table above were ranked based on experience and consumer research. Choosing a pair of lifting straps isn’t as simple as buying the first pair you find. There’s various factors to consider before making your buying decision and we’ll take a look at each product in depth below. Finding a great pair of lifting straps isn’t easy. You need to consider a variety of factors including length of the material, thickness and padding. Below is a lift of the 5 best lifting straps on the market to date which will take your workouts to the next level. These straps can really help you take your lifting to the next level. The great wrist support and improved grip are two of the best things about these lifting straps. They include 6.35mm high-performance foam lining for superior comfort. With the foam, you also get added stability and can tell the straps aren’t going to move around. The foam is closed-cell neoprene and very easy to clean after a sweaty lifting session. The manufacturer is very proud of the fact that they make this in the U.S.A. with 100% U.S.A. materials. Since they are so confident that you will love their product, they have no issue offering a 100% money-back guarantee. They were developed by a United States Marine and veteran of the Iraq War. Users love how durable these lifting straps are. Many people saw a big increase in the amount of weight they were able to deadlift when they started using this product. While using these straps, you will notice less stress on your back and fingers. This should allow you to train longer as well as harder. The straps are made out of 24″ material. You will have 7.5 to 8.5″ to wrap around the bar. This is plenty to give you a solid grip. With these straps, you use a dowel as a wedge between your hand and the bar. This is different than most straps that come extra long so you can wrap them around the bar. Although this seems to take some getting used to, most users eventually grow to love this system. The lock-on dowel strap is 6 inches long. There is 1/4 inch neoprene wrist supports on these lifting straps. This is great for injury protection as well as stability. Most users report that these straps are very comfortable to wear, even for long sessions. When you do deadlifts, you are putting a lot of pressure on your wrists. These straps are great for adding some protection for them. A few users complain that they slip a little once they get sweaty, but even these people still love the straps and would recommend them. One great thing about these straps is they come in different colors. They are also available at a very good price, especially considering how durable they are. If you decide to go with these lifting straps, you will get the ability to lift more than ever before thanks to the wrist support and comfort. These straps would make a great addition to the workout gear of many types of athletes. They are great for CrossFit, bodybuilding, weightlifting, and powerlifting. One of the nicest things about these straps is they come in a convenient carrying case. The bag has a clip so that it can be easily attached to your existing gym bag. It is a mesh bag, which is great for reducing the smell of any sweaty gym equipment. With these weightlifting straps, you are greatly reducing your risk of injury. 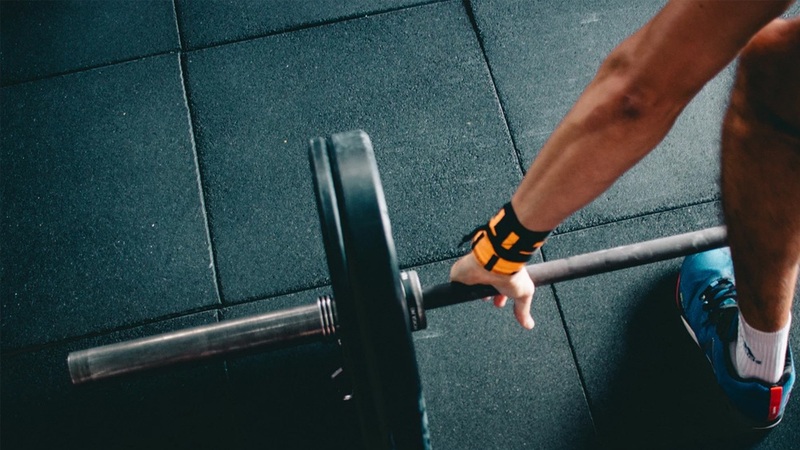 Many popular exercises, such as deadlifts, dumbbells, planks, and burpees, can really take a toll on your entire body, but your wrists in particular. These straps can eliminate pain and keep your wrists safe throughout your entire workout. The straps are adjustable and good for both men and women. You will not have to worry about them sliding around or cutting off circulation because you can find the perfect fit for you. These straps come in white, blue and red. Since this product has a 100% money-back guarantee, this is a great product to try out. The manufacturer is so confident you will love their product, they have no problem refunding money to the few people who do not. What makes these straps stand out is how long they are. They are designed so that you can wrap them around the bar multiple times. This provides a great grip on the bar. They are one size fits all straps that can work great for both men and women. These straps were designed by a Collegiate Hall of Fame Athlete. They have neoprene foam padding to make sure they are comfortable when you are wearing them. By properly securing the bar for your entire routine, these straps help you reduce your risk of injury while wearing them. You can do more reps with higher weights while wearing these straps. You can throw this straps in the washing machine when they get dirty. They are made of a long lasting cotton that is guaranteed to not stretch out after a few uses. In fact, this product has a 100% money-back guarantee. If your grip is something you struggle with, these may be the best wrist straps for lifting for you to try. Many people prefer the extra long length over some of the other methods of attaching to the bar out there. Since it is a no-risk purchase, there is no reason to not give these a try. What is so great about these lifting straps is the gel wrist pad cushions. These provide a great deal of comfort while you are going through your lifts. They are one size fits all and would be a good buy for both men and women. They used heavy duty cotton as well as rubber when making these straps. The Grip Flex rubber provides great control and gives you a “no-slip grip.” Be sure that the rubber always faces the bar when you are using these straps. These straps are 20.5″ long so that you can wrap them around the bar more than once. You do not need to worry about these straps slipping off while you are working out. They are 1.5″ wide to provide a great deal of stability. You can buy these lifting straps in five stylish colors. The straps with easily absorb moisture. When the time comes to clean them, they are easily hand and machine washable. RDX is a great brand for athletic wear. They mainly make equipment for combat sports, but there lifting straps are made with the same dedication to quality. These are not flimsy straps and should last you for a long time. Lifting straps are a great way to protect your wrists and increase your grip strength. Many people are surprised to find out that their arm muscles might be able to lift more weight than their grip can handle. A good pair of lifting straps can dramatically improve your deadlifts, dumbbells, and other moves that require lifting a heavy load. As with all pieces of exercise equipment, you should do some research before buying lifting straps. If you simply buy the first pair you find, you might miss out on some features or end up with a pair that doesn’t work for you. This guide is designed to go over the basics and some features you should look for. The goal is to help you find the best weightlifting wrist straps for you. The main reason for using these straps is to increase your grip strength. With most lifting straps, you will wrap one end of them around your wrists and the other end around the weight bar. This lets you grip the bar better and you can increase how much you can lift. These bars can help protect your wrists from injury as well. Some people believe that using lifting straps every time can weaken your grip. Others believe that it stops your grip from getting stronger. As a result, it may be best to start your routine without them on and add them when you feel your grip weakening. However, if you are not out to improve your grip, there is no reason you cannot wear them the entire time. If you are training for a competition, make sure to check whether or not you are allowed to wear lifting straps. If you are not, it is wise to get used to lifting without them. For more information on when to use lifting straps check out this post. There is a wide range of things you can use these straps for. The most popular weights lifted are kettlebells, barbells, and dumbbells. When doing quick-release exercises, like snatches, you will be better off with a shorter strap. On the other hand, if you are doing things like rack pulls and cable rows, you will want a longer strap. These exercises work better if you can wrap the strap around it several times. Be sure to always wear the straps on both hands. This allows for even distribution of weight and grip. Otherwise, your muscles may develop unevenly. Not all lifting straps are created equally. The following list will summarize the main things to look for when shopping for yours. You will want some padding for your wrists with your straps. Many people do not realize how weak their wrists are, especially compared to other joints in the body. Using lifting straps is a great opportunity to provide your wrists with some extra support. Neoprene padding is popular and it helps provide a shock absorber for your wrists. Be sure to check out how long of a grip, as well as how good of a grip, the straps will provide you. You will want a strap that is long enough to wrap around the bar several times. Some straps add some texture to improve the grip further. Rubber strips and silicone studs are both great options for getting the best grip possible. You will want your straps to be both soft and tough. The softness is important for your comfort and the toughness is important for durability. There are a lot of different materials weight lifting straps can come in. Cotton and nylon are both popular choices. Leather is another choice you can find and some people like it because of how durable it is. A good pair of weight lifting straps will be very adjustable. You want to wear yours tight enough to support your wrist but not so tight that they cut off circulation. It is best if your straps have a simple, single loop closure. These are great for allowing you to adjust your straps and not slowing you down when you are hitting the gym. Most lifting straps are considered one size fits all. That being said, if you have very small or very large wrists, you may have a harder time finding some a good length for you. To get a secure fit, most weight lifting straps come with a way to secure them. Common methods are interlocking fabrics, Velcro, or a metal loop. On top of securing the fit, these closures help with compressing your wrists. Be sure the closure does not make it hard to move your wrist or cause you any discomfort. Wider straps are often preferred because they cover more of the wrist. This is great for preventing injuries. Some people, particularly those with smaller wrists, prefer straps that aren’t as wide for comfort. On top of the materials used, the other major thing that determines how durable your weight lifting straps is how well they were made. If there is stitching, you will want to pay careful attention to the seams. Reinforced stitching is the best. 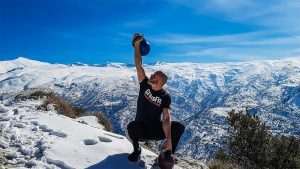 You will want to weigh the price of any potential lifting straps against how long you think they will last as well as how much grip and support they will provide you. It is possible to find a great set of lifting straps for around twenty dollars. All it takes is some time to do your research. Generally speaking, lifting strap prices range from fifteen to fifty dollars. It is inevitable that your weight lifting straps will get sweaty. Being able to easily wash them is important. Many straps on the market are machine washable, which is great. It is important to not machine wash them too often, however. Even the highest quality weight lifting straps can start to come apart with too frequent washing. Hand washing is often enough to get these straps clean again. Coming with some sort of warranty or money-back guarantee is a great sign that the weight lifting straps are well made. They also make your purchase risk-free, which is great if you are just starting out with straps and aren’t sure exactly what you want. Look for a manufacturer that is confident enough in their product to back it up. While shopping for weight lifting straps, you may come across some that are called figure 8 straps. These work by using a double loop to wrap around your wrists and the bar. Some people love these because they save time. Many people dislike them because they are a lot looser and less secure than the traditional weight lifting straps. Weight lifting straps are a great gym accessory that will enhance your lifts, the same way investing in a weight lifting belt will. Before making your purchase, it is a great idea to read the online reviews. This is the best way to learn if other people are having problems with them slipping or any other common problem that can happen with weight lifting straps. 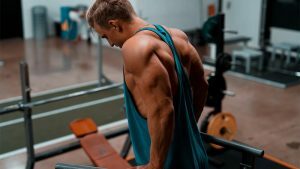 Hopefully, this guide gave you a good idea of what you want when buying the best weight lifting straps for you. For more great information on lifting straps check this post out from Menshealth.